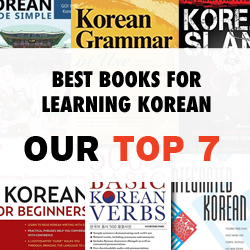 When I first started using Korean, I had watched a few dramas and I was always confused which thank you I should use. I heard the formal version most often, but also heard the impolite form. It wasn’t until I studied Korean more that I found out about politeness levels and then it made sense of course. 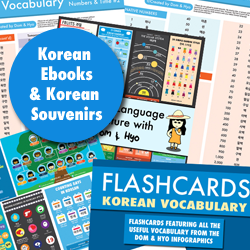 For saying thank you, there are several ways like most basic phrases in Korean. You have the formal, polite, and informal forms to work with. 감사합니다 (gam-sa-ham-ni-da): This is the most common way of saying thank you in Korean.You can use this with pretty much anyone. This is especially useful in public places like stores, restaurants, etc. 고맙습니다 (go-map-seum-ni-da): This is the second formal way of saying thank you. This, and 감사합니다 are pretty much the same. 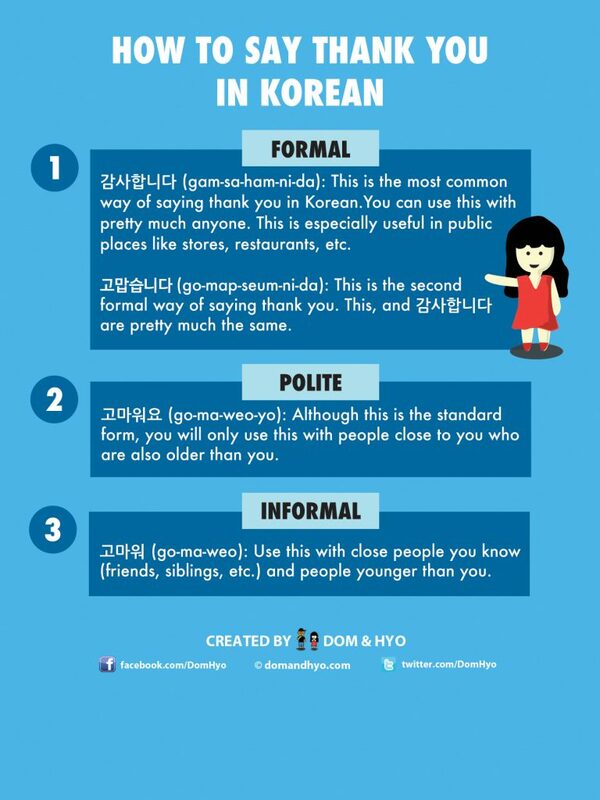 고마워요 (go-ma-weo-yo): Although this is the standard form, you will only use this with people close to you who are also older than you. Try not to use this with older people you don’t know. You will probably get away with it since you’re not Korean, but it will still be considered rude. 고마워 (go-ma-weo): Use this with close people you know (friends, siblings, etc.) and people younger than you. I use this with Hyo of course and some close Korean friends of mine. Now let’s also do a brief rundown of thank you using slang. Young people mostly use these, but you can use them as well. Most of these are used in texting. ㄳ / ㄱ ㅅ, 감사 – These are all slang shortened forms to communicate thank you. It basically takes the first consonants of the first two syllables in 감사합니다 and uses them for a basic and quick thanks to someone. The third one is self explanatory as it takes the first two syllables by themselves to communicate thanks. Remember to only use the slang versions with close friends. It would look pretty bad if someone wrote these to their boss. 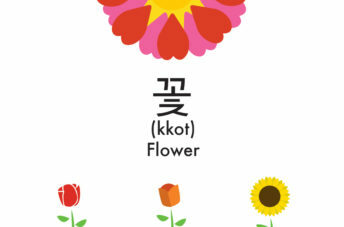 If you want to say thank you for eating a meal in Korean, you wouldn’t even use the phrases above. The literal meaning for this phrase is I will eat well but it’s functions as a basic thanks for preparing food. Of course, if someone offers you something like food and you don;t want it, you will want to know how to say no thank you as well. However keep in mind that unless you know the person well, refusing food is seen as rude. I regularly refuse food from my in laws, but at first, I just accepted and then gave the food to Hyo. 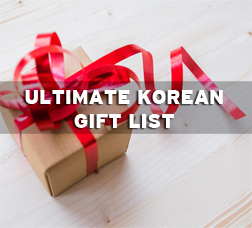 However, most Koreans are understanding if you don’t like certain foods. It’s mostly with the older generation that you probably just want to politely accept and move on.